Map of Mexico with regions where there were Cristero outbreaks. The Cristero War or Cristero Rebellion (1926–1929), also known as La Cristiada [la kɾistˈjaða], was a widespread struggle in many central-western Mexican states against the secularist, anti-Catholic, and anticlerical policies of the Mexican government. The rebellion was set off by enactment under President Plutarco Elías Calles of a statute to enforce the anticlerical articles of the Mexican Constitution of 1917 (also known as the Calles Law). Calles sought to eliminate the power of the Catholic Church and organizations affiliated with it as an institution, and also suppress popular religious celebration in local communities. The massive, popular rural uprising was tacitly supported by the Church hierarchy and was aided by urban Catholic support. US Ambassador Dwight W. Morrow brokered negotiations between the Calles government and the Church. The government made some concessions, the Church withdrew its support for the Cristero fighters and the conflict ended in 1929. It can be seen as a major event in the struggle between Church and State dating back to the 19th century with the War of Reform, but it can also be interpreted as the last major peasant uprising in Mexico following the end of the military phase of the Mexican Revolution in 1920. The Mexican Revolution (1910–20) remains the largest conflict in Mexican history. The overthrow of dictator Porfirio Díaz unleashed disorder, with many contending factions and regions. The Catholic Church and the Díaz government had come to an informal modus vivendi whereby the State did not enforce the anticlerical articles of the liberal Constitution of 1857, but also did not repeal them. Having a change of leadership or a wholesale overturning of the previous order was potentially a danger to the Church's position. In the democratizing wave of political activity, the National Catholic Party (Partido Católico Nacional) was formed. Francisco Madero was overthrown and assassinated in a February 1913 military coup led by Gen. Victoriano Huerta, bringing back supporters of the Porfirian order; with the ouster of Huerta in 1914, the Catholic Church was the target of revolutionary violence and fierce anticlericalism by many Northern revolutionaries. The Constitutionalist faction won the revolution and its leader, Venustiano Carranza, had a new revolutionary constitution drawn up. The Constitution of 1917 strengthened the anticlericalism of the previous document. Neither President Carranza (1915–20) nor his successor, Gen. Alvaro Obregón (1920–24), enforced the anticlerical articles. The Calles administration (1924–28) felt its revolutionary initiatives and legal basis to pursue them were being challenged by the Catholic Church. To destroy the Church's influence over the Mexican people, anti-clerical laws were instituted, beginning a ten-year religious conflict that resulted in the death of thousands of civilians that took up arms to fight for their religious freedom. On the opposing side was an armed professional military sponsored by the government. Calles’ Mexico has been characterized as an atheist state, and his program as being one to eradicate religion in Mexico. A period of peaceful resistance to the enforcement of the anticlerical provisions of the constitution by Mexican Catholics brought no result. Skirmishing broke out in 1926, and violent uprisings began in 1927. The rebels called themselves Cristeros, invoking the name of Jesus Christ under the title of "Cristo Rey" or Christ the King. The rebellion is known for the Feminine Brigades of St. Joan of Arc, a brigade of women who assisted the rebels in smuggling guns and ammunition, and for certain priests who were tortured and murdered in public (and later canonized by Pope Saint John Paul II). The rebellion eventually ended by diplomatic means brokered by the U.S. Ambassador to Mexico Dwight Whitney Morrow, with financial relief and logistical assistance provided by the Knights of Columbus. 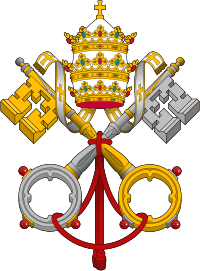 The rebellion attracted the attention of Pope Pius XI, who issued a series of papal encyclicals between 1925–37. On December 11, 1925, the pontiff issued Quas primas, instituting the Feast of Christ the King. On November 18, 1926, he issued Iniquis afflictisque (On the Persecution of the Church in Mexico), denouncing the violent anti-clerical persecution in Mexico. Despite the government's promises to the contrary, it continued the persecution of the Church. In response, Pius issued Acerba animi on September 29, 1932. As the persecution continued he issued Firmissimam Constantiam and expressed his opposition to the "impious and corruptive school" (p. 22) while granting papal support for Catholic Action in Mexico for the third consecutive time with the use of plenary indulgence on March 28, 1937. The Political Constitution of the United Mexican States was drafted by the Constitutional Congress convoked by Venustiano Carranza in September 1916, and it was approved on February 5, 1917. The new constitution was based in the previous one instituted by Benito Juárez in 1857. Three of its 136 articles—Article 3, Article 27 and Article 130—contain heavily secularizing sections, restricting the power and influence of the Roman Catholic Church. The first two sections of article 3 state: I. According to the religious liberties established under article 24, educational services shall be secular and, therefore, free of any religious orientation. II. The educational services shall be based on scientific progress and shall fight against ignorance, ignorance's effects, servitudes, fanaticism and prejudice. The second section of article 27 states that: All religious associations organized according to article 130 and its derived legislation, shall be authorized to acquire, possess or manage just the necessary assets to achieve their objectives. It also provided for obligatory state registration of all churches and religious congregations, and placed a series of restrictions on priests and ministers of all religions (ineligible to hold public office, to canvas on behalf of political parties or candidates, to inherit from persons other than close blood relatives, etc.). The article also allowed the state to regulate the number of priests in each region—even reducing the number to zero—and forbade the wearing of religious garb and excluded offenders from a trial by jury. Venustiano Carranza declared himself opposed to the final draft of Articles 3, 5, 24, 27, 123 and 130, but the Constitutional Congress contained only 85 conservatives and centrists close to Carranza's rather restrictive brand of "liberalism"; against them were 132 more radical delegates. Article 24 states that: "Every man shall be free to choose and profess any religious belief as long as it is lawful and it cannot be punished under criminal law. The Congress shall not be authorized to enact laws either establishing or prohibiting a particular religion. Religious ceremonies of public nature shall be ordinarily performed at the temples. Those performed outdoors shall be regulated under the law. Violence on a limited scale occurred throughout the early 1920s, but never rose to the level of widespread conflict. 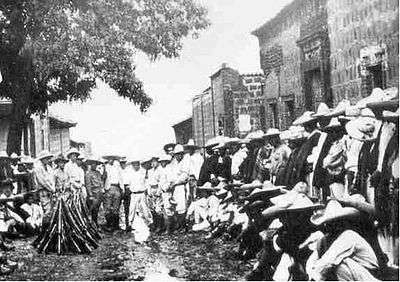 In 1926, following passage of stringent anticlerical criminal laws and enforcement of these so-called Calles Laws (named for Mexican President Plutarco Elías Calles) coupled with peasant revolts against land reform in the heavily Catholic Bajio and clampdown on popular religious celebrations such as fiestas, scattered guerrilla operations coalesced into a serious armed revolt against the government. Catholic and anticlerical groups turned to terrorism. Of the several uprisings against the Mexican government in the 1920s, the Cristero War was the most devastating and had the most long-range effects. The diplomatic settlement of 1929 brokered by the US Ambassador to Mexico between the Catholic Church and the Mexican government was supported by the Vatican. Although many Cristeros continued fighting, they no longer did so with the tacit support of the Church. Persecution of Catholics and anti-government terrorist attacks continued into the 1940s, when the remaining organized Cristero groups were incorporated into the Sinarquista Party. The Mexican Revolution of 1910 was originally fought against longtime autocrat Porfirio Díaz and in favor of the demand by the mass of peasantry for land. However, the late revolutionary leader Plutarco Elias Calles took radically anti-Catholic stances, despite the Church's overwhelming support from the people. Francisco I. Madero was the first revolutionary leader. Madero was elected president in November 1911, but was overthrown and executed in 1913 by the counterrevolutionary Gen. Victoriano Huerta. When Huerta seized power after Madero's assassination, Archbishop Ruiz y Flores from Morelia published a letter condemning the coup and distanced the Church from Huerta. The National Catholic Party newspaper, representing the views of the bishops, attacked Huerta severely and, as a result, the new regime jailed the President of the NCP and halted the publication of the newspaper. Nevertheless, some members of the National Catholic Party decided to participate in Huerta's regime, such as Eduardo Tamariz. The revolutionary generals Carranza, Francisco Villa and Emiliano Zapata—who vanquished Huerta's federal army under the Plan of Guadalupe—had friendships with the Catholics and local parish priests who aided them, but they also blamed high-ranking Catholic clergy for supporting Huerta. Carranza was the first president under the new Constitution, but he was overthrown by one-time ally Álvaro Obregón in 1919, who took over the presidency in late 1920. Obregón effectively applied the secularist laws emanating from the constitution only in areas where Catholic sentiment was weakest. This uneasy "truce" between the government and the Church ended with the 1924 hand-picked succession of an atheist, Plutarco Elías Calles. Mexican Jacobins, supported by Calles' central government, went beyond mere anticlericalism and engaged in secular antireligious campaigns to eradicate what they called "superstition" and "fanaticism", which included the desecration of religious objects as well as the persecution and murder of the clergy. Calles applied the anti-clerical laws stringently throughout the country and added his own anti-clerical legislation. In June 1926 he signed the "Law for Reforming the Penal Code", known unofficially as the "Calles Law." This provided specific penalties for priests and individuals who violated the provisions of the 1917 Constitution. For instance, wearing clerical garb in public (i.e., outside Church buildings) earned a fine of 500 pesos ($250 U.S. per the historical exchange rate); a priest who criticized the government could be imprisoned for five years. Some states enacted oppressive measures. Chihuahua enacted a law permitting only a single priest to serve the entire Catholic congregation of the state. To help enforce the law, Calles seized church property, expelled all foreign priests and closed the monasteries, convents and religious schools. On July 11, 1926, Catholic bishops voted to suspend all public worship in response to the Calles Law, with the suspension taking effect on August 1. On July 14 they endorsed plans for an economic boycott against the government, which was particularly effective in west-central Mexico (the states of Jalisco, Guanajuato, Aguascalientes and Zacatecas). Catholics in these areas stopped attending movies and plays and using public transportation, and Catholic teachers stopped teaching in secular schools. The bishops worked to have the offending articles of the Constitution amended. Pope Pius XI explicitly approved this plan. The Calles government considered the bishops' activism sedition and had many more churches closed. In September 1926 the episcopate submitted a proposal for the amendment of the constitution, but the Congress rejected it on September 22. On August 3, in Guadalajara, Jalisco, some 400 armed Catholics shut themselves up in the Church of Our Lady of Guadalupe. They exchanged gunfire with federal troops and surrendered when they ran out of ammunition. According to US consular sources, this battle resulted in 18 dead and 40 wounded. The following day, in Sahuayo, Michoacán, 240 government soldiers stormed the parish church. The priest and his vicar were killed in the ensuing violence. On August 14 government agents staged a purge of the Chalchihuites, Zacatecas, chapter of the Association of Catholic Youth and executed their spiritual adviser, Father Luis Bátiz Sainz. This execution caused a band of ranchers, led by Pedro Quintanar, to seize the local treasury and declare themselves in rebellion. At the height of their rebellion they held a region including the entire northern part of Jalisco. Luis Navarro Origel, the mayor of Pénjamo, Guanajuato, led another uprising on September 28. His men were defeated by federal troops in the open land around the town but retreated into the mountains, where they continued as guerrillas. In support of the two guerrilla Apache clans, the Chavez and Trujillos helped smuggle arms, munitions and supplies from the US state of New Mexico. This was followed by a September 29 uprising in Durango led by Trinidad Mora and an October 4 rebellion in southern Guanajuato led by former Gen. Rodolfo Gallegos. Both rebel leaders adopted guerrilla tactics, as their forces were no match for federal troops. Meanwhile, rebels in Jalisco—particularly the region northeast of Guadalajara—quietly began assembling forces. Led by 27-year-old René Capistrán Garza, leader of the Mexican Association of Catholic Youth, this region would become the main focal point of the rebellion. The formal rebellion began on January 1, 1927, with a manifesto sent by Garza titled A la Nación (To the Nation). This declared that "the hour of battle has sounded" and "the hour of victory belongs to God". With the declaration the state of Jalisco, which had seemed to be quiet since the Guadalajara church uprising, exploded. Bands of rebels moving in the "Los Altos" region northeast of Guadalajara began seizing villages, often armed with only ancient muskets and clubs. The Cristeros' battle cry was ¡Viva Cristo Rey! ¡Viva la Virgen de Guadalupe! (Long live Christ the King! Long live the Virgin of Guadalupe!). The rebels had scarce logistical supplies and relied heavily on the Feminine Brigades of St. Joan of Arc, raids on towns, trains and ranches in order to supply themselves with money, horses, ammunition and food. By contrast, later in the war the Calles government was supplied with arms and ammunition by the US government. In at least one battle, American pilots provided air support for the federal army against the Cristero rebels. The Calles government did not take the threat seriously at first. The rebels did well against the agraristas (a rural militia recruited throughout Mexico) and the Social Defense forces (local militia), but initially were always defeated by regular federal troops who guarded the important cities. At this time the federal army numbered 79,759 men. When Jalisco federal commander Gen. Jesús Ferreira moved on the rebels, he matter-of-factly wired to army headquarters that "it will be less a campaign than a hunt." It was a sentiment that Calles also held. A vintage photo of officers and family members from the Cristeros Castañon fighting regiment. However, the rebels planned their battles fairly well, considering the fact that they had little to no previous military experience. The most successful rebel leaders were Jesús Degollado (a pharmacist); Victoriano Ramírez (a ranch hand) and two priests, Fr. Aristeo Pedroza and Fr. José Reyes Vega. Reyes Vega was renowned, and Cardinal Davila deemed him a "black-hearted assassin". At least five priests took up arms, while many others supported them in various ways. The Mexican episcopate never officially supported the rebellion, but the rebels had some indications that their cause was legitimate. Bishop José Francisco Orozco of Guadalajara remained with the rebels; while formally rejecting armed rebellion, he was unwilling to leave his flock. On February 23, 1927, the Cristeros defeated federal troops for the first time at San Francisco del Rincón, Guanajuato, followed by another victory at San Julián, Jalisco. However, they quickly began to lose in the face of superior federal forces, and retreated into remote areas, constantly fleeing federal soldiers. Most of the leadership of the revolt in the state of Jalisco was forced to flee to the US, although Victoriano Ramírez and Fr. Reyes Vega remained. In April 1927 the leader of the civilian wing of the Cristiada, Anacleto González Flores, was captured, tortured and killed. The media and government declared victory and plans were made for a re-education campaign in the areas that had rebelled. As if to prove that the rebellion was not extinguished, and to avenge the death of González Flores, Fr. 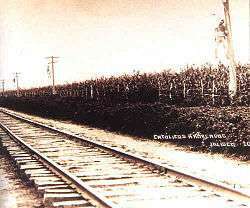 Reyes Vega led a raid against a train carrying a shipment of money for the Bank of Mexico on April 19, 1927. The raid was a success, but Reyes Vega's brother was killed in the fighting. The "concentration" policy, rather than suppressing the revolt, gave it new life, as thousands of men began to aid and join the rebels in resentment of the treatment of the Federation. When the rains came the peasants were allowed to return to the harvest, and there was now more support than ever for the Cristeros. By August 1927 they had consolidated their movement and were constantly attacking federal troops garrisoned in their towns. Soon they would be joined by Enrique Gorostieta, a retired general hired by the National League for the Defense of Religious Liberty. Although Gorostieta was himself a liberal and a skeptic, he would eventually wear a cross around his neck and speak openly of his reliance on God. On June 21, 1927, the first Women's Brigade was formed in Zapopan. The brigade began with 16 women and one man, but after a few days grew to 135 members and soon after, they came to number 17,000. Its mission was to obtain money, weapons, provisions and information for the combatant men while also caring for the wounded. By March 1928 some 10,000 women were involved in the struggle, with many smuggling weapons into combat zones by carrying them in carts filled with grain or cement. By the end of the war they numbered some 25,000. The Cristeros maintained the upper hand throughout 1928, and in 1929 the federal government faced a new crisis: a revolt within army ranks led by Arnulfo R. Gómez in Veracruz. The Cristeros tried to take advantage of this with an attack on Guadalajara in late March 1929. It failed, but the rebels did manage to take Tepatitlán on April 19; however, Fr. Vega was killed. The military rebellion was met with equal force and the Cristeros were soon facing divisions within their own ranks. In October 1927 US ambassador to Mexico Dwight Whitney Morrow initiated a series of breakfast meetings with President Calles at which the two would discuss a range of issues, from the religious uprising to oil and irrigation. This earned him the nickname "the ham and eggs diplomat" in US papers. Morrow wanted the conflict to end both for regional security and to help find a solution to the oil problem in the US. He was aided in his efforts by Fr. John J. Burke of the National Catholic Welfare Conference. Calles' term as president was coming to an end—former president Álvaro Obregón had been elected president and was scheduled to take office on December 1, 1928. Though Obregon had been more lenient to Catholics during his time in office, it was also greatly accepted among Mexicans, including the Cristeros, that Calles was his puppet leader. Two weeks after his election Obregón was assassinated by a Catholic radical, José de León Toral, an event that gravely damaged the peace process. In September 1928 Congress named Emilio Portes Gil as interim president, with a special election to be held in November 1929. Portes was more open to the Church than Calles had been, allowing Morrow and Burke to re-initiate the peace initiative. Portes told a foreign correspondent on May 1, 1929, that "the Catholic clergy, when they wish, may renew the exercise of their rites with only one obligation, that they respect the laws of the land". The next day exiled Archbishop Leopoldo Ruíz y Flores issued a statement that the bishops would not demand the repeal of the laws, only their more lenient application. Morrow managed to bring the parties to agreement on June 21, 1929. His office drafted a pact called the arreglos (agreement) that allowed worship to resume in Mexico and granted three concessions to the Catholics: only priests who were named by hierarchical superiors would be required to register, religious instruction in the churches (but not in the schools) would be permitted, and all citizens, including the clergy, would be allowed to make petitions to reform the laws. But the most important part of the agreement was that the church would recover the right to use its properties, and priests recovered their rights to live on such property. Legally speaking, the Church was not allowed to own real estate, and its former facilities remained federal property. However, the church effectively took control over the properties. It was a convenient arrangement for both parties, and the church ostensibly ended its support for the rebels. Over the previous two years, anticlerical officers who were hostile to the federal government for reasons other than its position on religion had joined the rebels. When the agreement between the government and the church was made known, only a minority of the rebels went home, mainly those who felt their battle had been won. On the other hand, since the rebels themselves were not consulted in the talks, many felt betrayed and some continued to fight. The church threatened those rebels with excommunication, and gradually the rebellion died out. The officers, fearing that they would be tried as traitors, tried to keep the rebellion alive. This attempt failed and many were captured and shot, while others escaped to San Luis Potosí where Gen. Saturnino Cedillo gave them refuge. On June 27, 1929, church bells rang in Mexico for the first time in almost three years. The war had claimed the lives of some 90,000 people: 56,882 on the federal side, 30,000 Cristeros, and numerous civilians and Cristeros who were killed in anticlerical raids after the war ended. As promised by Portes Gil, the Calles Law remained on the books, but no organized federal attempts to enforce it took place. Nonetheless, in several localities, officials continued persecution of Catholic priests based on their interpretation of the law. In 1992 the Mexican government amended the constitution by granting all religious groups legal status, conceding them limited property rights and lifting restrictions on the number of priests in the country. Both US councils and mostly newly formed Mexican councils of the Knights of Columbus opposed the persecution by the Mexican government. To date, nine of those beatified or canonized were Knights. The American Knights collected more than $1 million to assist exiles from Mexico, to continue the education of expelled seminarians and to inform citizens of the US about oppression. They circulated five million leaflets educating the US about the war, held hundreds of lectures and spread the news via radio. In addition to fostering an informed public the Knights met with President Calvin Coolidge to press for intervention. According to Supreme Knight of the Knights of Columbus Carl A. Anderson, two-thirds of Mexican Catholic councils were shut down by the Mexican government at the time. In response, the Knights of Columbus published posters and magazines presenting Cristero soldiers in a positive light. High-ranking members of the racist and anti-Catholic US organization the Ku Klux Klan in the mid-1920s offered President Calles $10,000 to help fight the Catholic Church. The offer came when the Knights of Columbus in the US secretly offered a group of Cristero rebels $1,000 of financial assistance for guns and ammunition. This was made after the fact that Calles also sent a private telegram to the Mexican Ambassador to France, Alberto José Pani Arteaga, advising that the ". . . Catholic Church in Mexico is a political movement, and must be eliminated in order to proceed with a Socialist government free of religious hypnotism which fools the people . . . within one year without the sacraments, the people will forget the faith . . ."
The government in many cases did not abide by the terms of the truce and, in violation of its terms, executed some 500 Cristero leaders and 5,000 other Cristeros. Particularly offensive to Catholics after the supposed truce was Calles' insistence on a complete state monopoly on education, suppressing all Catholic education and introducing secular education in its place: "We must enter and take possession of the mind of childhood, the mind of youth." Calles' military persecution of Catholics would be officially condemned by President Lázaro Cárdenas and the Mexican Congress in 1935. Between 1935-36 Cárdenas had Calles and many of his close associates arrested and forced them into exile soon afterwards. Freedom of worship was no longer suppressed, although some states still refused to repeal Calles' policy, and relations with the church improved while Cárdenas was president. Government disregard for the church, however, did not relent until 1940, when President Manuel Ávila Camacho, a practicing Catholic, took office. Church buildings in the country still belonged to the Mexican government and the nation's policies regarding the church still fell into federal jurisdiction. Under Camacho, the bans against church, though lawfully required either throughout the country or in just some Mexican states, were no longer enforced anywhere in Mexico. The effects of the war on the Church were profound. Between 1926-34 at least 40 priests were killed. There were 4,500 priests serving the people before the rebellion, but by 1934 there were only 334 licensed by the government to serve 15 million people. The rest had been eliminated by emigration, expulsion and assassination. By 1935, 17 states had no priests at all. The end of the Cristero War affected emigration to the US. "In the aftermath of their defeat, many of the Cristeros--by some estimates as much as 5 percent of Mexico's population--fled to America [i.e. the United States]. Many of them made their way to Los Angeles, where they found a protector in John Joseph Cantwell, the bishop of what was then the Los Angeles-San Diego diocese." Under Archbishop Cantwell's sponsorship the Cristero refugees became a substantial community in Los Angeles, California, in 1934 staging a parade some 40,000 strong through the city. The Calles law was repealed after Lázaro Cárdenas became president in 1934. Cárdenas earned respect from Pope Pius and befriended Mexican Archbishop Luis María Martinez, a major figure in Mexico's Catholic Church who successfully persuaded Mexicans to obey the government's laws in a peaceful manner. The Church refused to back Mexican insurgent Saturnino Cedillo's failed revolt against Cárdenas, despite the fact that Cedillo endorsed more power for the Church as well. Socialist Education: Cárdenas's government continued to suppress religion in the field of education during his administration (1934-1940). Congress amended Article 3 of the Constitution in October 1934 to include the following introductory text (textual translation): "The education imparted by the State shall be a socialist one and, in addition to excluding all religious doctrine, shall combat fanaticism and prejudices by organizing its instruction and activities in a way that shall permit the creation in youth of an exact and rational concept of the Universe and of social life." This amendment was invalidated by future President Manuel Ávila Camacho and was officially repealed from the Mexican Constitution in 1946. Constitutional bans against the Church would not be enforced anywhere in Mexico during Avila Camacho's presidency. The promotion of socialist education met with strong opposition in some parts of academia and in areas formerly controlled by the Cristeros. Pope Pius XI also published the encyclical Firmissimam Constantiam on March 28, 1937, expressing his opposition to the "impious and corruptive school" (paragraph 22) and his support for Catholic Action in Mexico. This was the third and last encyclical published by Pius XI making reference to the religious situation in Mexico. Violence of against public school teachers: Many of those formerly associated with the Cristeros took up arms again as independent rebels, and they were followed by some other Catholics, but this time unarmed public school teachers were among the main targets of independent rebel-associated atrocities. Government supporters blame these on the Cristero movement in general. Rural teachers did not take up arms, but some of them refused to leave their schools and communities, and many had their ears cut off by the Cristeros. This is the reason why those teachers who were murdered and had their corpses desecrated are often known as maestros desorejados ("teachers without ears") in Mexico. In some of the worst cases, teachers were tortured and murdered by the former Cristero rebels. It is calculated that approximately 300 rural teachers were murdered in this way, between 1935 and 1939, while other authors calculate that at least 223 teachers were victims of the violence between 1931 and 1940, including the assassinations of Carlos Sayago, Carlos Pastraña and Librado Labastida in Teziutlán, Puebla, hometown of future president Manuel Ávila Camacho; the execution of a teacher, Carlos Toledano, who was burned alive in Tlapacoyan, Veracruz; and the lynching of at least 42 teachers in the state of Michoacán: J. Trinidad Ramírez in Contepec, Pedro García in Apatzingan, Juan Gonzalez Valdespino in Huajumbaro, José Rivera Romero in Ciudad Hidalgo, María Salud Morales in Tacambaro; et al. The atrocities by the rebels and associated Catholics against rural teachers have been criticized in essays and books published by the Ibero-American University in Mexico, a college run by the Jesuit order of the Catholic Church. The Mexican constitution prohibits outdoor worship, which is only allowed in exceptional circumstances, generally requiring governmental permission. Religious organizations are not permitted to own print or electronic media outlets, governmental permission is required to broadcast religious ceremonies, and ministers are prohibited from being political candidates or holding public office. Despite remnants of anti-clerical statutes, there is no real enforcement of them, and the Catholic Church enjoys liberties from the Government, as well as devotion from the people. The Catholic Church has recognized several of those killed in the Cristero rebellion as martyrs, including the Blessed Miguel Pro (SJ), who was shot dead without trial by a firing squad on November 23, 1927, on trumped-up charges of involvement in an assassination attempt against former President Álvaro Obregón but in actuality for his priestly activities in defiance of the government. His beatification occurred in 1988. On May 21, 2000, Pope Saint John Paul II canonized a group of 25 martyrs from this period. They had been beatified on November 22, 1992. Of this group, 22 were secular clergy and three were laymen. They did not take up arms but refused to leave their flocks and ministries, being shot or hanged by government forces for offering the sacraments. Most were executed by federal forces. Although Peter de Jesus Maldonado was killed in 1937, after the war ended, he is considered a Cristero and a member of this group . Fr. Luis Bátiz Sainz was the parish priest in Chalchihuites and a member of the Knights of Columbus. He was known for his devotion to the Eucharist and for his prayer for martyrdom: "Lord, I want to be a martyr; even though I am your unworthy servant, I want to pour out my blood, drop by drop, for your name." In 1926, shortly before the closing of the churches, he was denounced as a conspirator against the government because of his connections with the National League for the Defense of Religious Liberty, which was preparing an armed uprising. A squad of soldiers raided the private house where he was staying on August 14, 1926, and took him captive. They executed him, reportedly without benefit of a trial, along with three youths of the Mexican Association of Catholic Youth. The Catholic Church declared 13 additional victims of the anti-Catholic regime as martyrs on November 20, 2005, thus paving the way for their beatifications. This group was mostly lay people including 14-year-old José Sánchez del Río. On November 20, 2005, at Jalisco Stadium in Guadalajara, José Saraiva Cardinal Martins celebrated the beatifications. A banner from a group of Cristero supporters at the Centro de Estudios Cristeros in Encarnación de Díaz, Jalisco. Juan Gutiérrez, a surviving Cristero, penned the Cristeros hymn, "Battle Hymn of the Cristeros", which is based on the music of the Spanish-language song, "Marcha Real". French historian and researcher Jean Meyer argues that the Cristero soldiers were western peasants who tried to resist the heavy pressures of the modern bourgeois state and its Revolution, of the city elites, and of the rich, all of whom wanted to suppress the Catholic faith. Juan Rulfo's famous novel Pedro Páramo is set during the Cristero War in the western Mexico city of Comala. Graham Greene's novel The Power and the Glory is set during this period. There is a long section of B. Traven's novel The Treasure of the Sierra Madre devoted to the history of what Traven refers to as "the Christian Bandits". However, in the classic film made from the novel, no mention is made of the Cristeros, although the novel takes place in the same time period as the rebellion. El coloso de mármol (1929). Los cristeros (aka Sucedió en Jalisco) (1947). Los últimos cristeros (aka The Last Cristeros) (2011). Cristiada (aka For Greater Glory) (2012). 1 2 Philippe Levillain (2002). The Papacy: An Encyclopedia. Routledge. p. 1208. 1 2 Pope Pius XI (1937). Firmissimam Constantiam. Libreria Editrice Vaticana. 1 2 3 4 Translation made by Carlos Perez Vazquez (2005). The Political Constitution of the Mexican United States (PDF). Universidad Nacional Autónoma de México. ↑ Enrique Krauze (1998). Mexico: biography of power: a history of modern Mexico, 1810–1996. HarperCollins. p. 387. ISBN 978-0-06-092917-6. ↑ D. L. Riner; J. V. Sweeney (1991). Mexico: meeting the challenge. Euromoney. p. 64. ISBN 978-1-870031-59-2. ↑ Chand, Vikram K., Mexico's political awakening, p.153, Univ. of Notre Dame Press, 2001: "In 1926, the Catholic hierarchy had responded to government persecution by suspending Mass, which was then followed by the eruption of the Cristero War…"
↑ Bethel, Leslie, Cambridge History of Latin America, p. 593, Cambridge Univ. Press: "The Revolution had finally crushed Catholicism and driven it back inside the churches, and there it stayed, still persecuted, throughout the 1930s and beyond"
↑ Ruiz, Ramón Eduardo Triumphs and Tragedy: A History of the Mexican People, p. 355, W. W. Norton & Company 1993: referring to the period: "With ample cause, the church saw itself as persecuted." ↑ Michael J. Gonzales (2002). The Mexican Revolution, 1910-1940. UNM Press. p. 105. ISBN 978-0-8263-2780-2. ↑ Roy Palmer Domenico (2006). Encyclopedia of Modern Christian Politics. Greenwood Publishing Group. p. 400. ISBN 978-0-313-32362-1. ↑ Samuel Brunk (1995). Emiliano Zapata: Revolution & Betrayal in Mexico. UNM Press. p. 69. ISBN 978-0-8263-1620-2. ↑ Albert P. Rolls (2011). Emiliano Zapata: A Biography. ABC-CLIO. p. 145. ISBN 9780313380808. ↑ John Lear (2001). Workers, neighbors, and citizens: the revolution in Mexico City. University of Nebraska Press. p. 261. ISBN 978-0-8032-7997-1. ↑ Robert P. Millon (1995). Zapata: The Ideology of a Peasant Revolutionary. International Publishers Co. p. 23. ISBN 978-0-7178-0710-9. ↑ Peter Gran (1996). Beyond Eurocentrism: a new view of modern world history. Syracuse University Press. p. 165. ISBN 978-0-8156-2692-3. ↑ Meyer, Jean A. (1976). The Cristero Rebellion: The Mexican People between Church and State, 1926–1929. Cambridge: Cambridge University Press. pp. 132, 133, 136. ISBN 9780521210317. ↑ Kourf, Professor (November 27, 2002). U.S. Reaction Towards the Cristero Rebellion. Dalageorgas, Kosta. ↑ On June 2 Gorostieta was killed in an ambush by a federal patrol. However, the rebels had some 50,000 men under arms by this point and seemed poised to draw out the rebellion for a long time. ↑ Enrique Krauze (1997). Mexico: Biography of Power: A History of Modern Mexico, 1810–1996. New York: HarperCollins. p. 399. ISBN 978-0-06-016325-9. ↑ Interview. For Greater Glory Film documentary. May 2012. ↑ Jean Meyer, La Cristiada: A Mexican People's War on Religious Liberty, ISBN 978-0-7570-0315-8. SquareOne Publishers. 1 2 3 4 5 6 "Religion: Where Is He?". Time. December 26, 1938. ↑ Rieff, David; "Nuevo Catholics"; The New York Times Magazine; December 24, 2006. 1 2 Donald Clark Hodges; Daniel Ross Gandy; Ross Gandy (2002). Mexico, the end of the revolution. Praeger. p. 50. ISBN 978-0-275-97333-9. ↑ George C. Booth (1941). Mexico's school-made society. Stanford University Press. p. 2. ISBN 978-0-8047-0352-9. ↑ Sarah L. Babb (2004). Managing Mexico: Economists from Nationalism to Neoliberalism. Princeton University Press. p. 55. ISBN 978-0-691-11793-5. 1 2 3 John W. Sherman (1997). The Mexican right: the end of revolutionary reform, 1929–1940. Greenwood Publishing Group. pp. 43–45. ISBN 978-0-275-95736-0. ↑ Carlos Monsiváis; John Kraniauskas (1997). Mexican postcards. Verso. p. 132. ISBN 978-0-86091-604-8. 1 2 Guillermo Zermeño P. (1992). Religión, política y sociedad: el sinarquismo y la iglesia en México; Nueve Ensayos. Universidad Iberoamericana. p. 39. ISBN 978-968-859-091-1. 1 2 Ponce Alcocer; Ma. Eugenia; et al. (2009). El oficio de una vida: Raymond Buve, un historiador mexicanista. Universidad Iberoamericana. p. 210. ISBN 978-607-417-009-2. ↑ Christopher Robert Boyer (2003). Becoming campesinos: politics, identity, and agrarian struggle in postrevolutionary Michoacán, 1920–1935. Stanford University Press. pp. 179–81. ISBN 978-0-8047-4356-3. 1 2 3 Marjorie Becker (1995). Setting the Virgin on fire: Lázaro Cárdenas, Michoacán peasants, and the redemption of the Mexican Revolution. University of California Press. pp. 124–126. ISBN 978-0-520-08419-3. ↑ Jim Tuck (1982). The holy war in Los Altos: a regional analysis of Mexico's Cristero rebellion. University of Arizona Press. p. 184. ISBN 978-0-8165-0779-5. ↑ George I. Sanchez (2008). 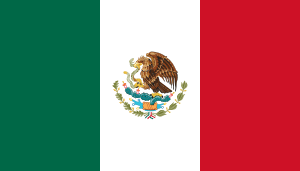 Mexico – A Revolution by Education. Read Books. p. 119. ISBN 978-1-4437-2587-3. ↑ Raquel Sosa Elízaga (1996). Los códigos ocultos del cardenismo: un estudio de la violencia política, el cambio social y la continuidad institucional. Plaza y Valdes. p. 333. ISBN 978-968-856-465-3. ↑ Everardo Escárcega López (1990). Historia de la cuestión agraria mexicana, Volumen 5. Siglo XXI. p. 20. ISBN 978-968-23-1492-6. ↑ Matthew Butler; Matthew John Blakemore Butler (2007). Faith and impiety in revolutionary Mexico. Palgrave Macmillan. p. 11. ISBN 978-1-4039-8381-7. ↑ Kees Koonings; Dirk Kruijt (1999). Societies of fear: the legacy of civil war, violence and terror in Latin America. Zed Books. p. 112. ISBN 978-1-85649-767-1. ↑ Nathaniel Weyl; Mrs. Sylvia Castleton Weyl (1939). The reconquest of Mexico: the years of Lázaro Cárdenas. Oxford university press. p. 322. ↑ Eric Van Young; Gisela von Wobeser (1992). La ciudad y el campo en la historia de México: memoria de la VII Reunión de Historiadores Mexicanos y Norteamericanos (in English). Universidad Nacional Autónoma de México. p. 896. ISBN 978-968-36-1865-8. ↑ James McKeen Cattell; Will Carson Ryan; Raymond Walters (1936). "School & society (Special Correspondence)". 44. Society for the Advancement of Education: 739–41. ↑ Belinda Arteaga (2002). A gritos y sombrerazos: historia de los debates sobre educación sexual en México, 1906–1946 (in Spanish). Miguel Angel Porrua. p. 161. ISBN 978-970-701-217-2. Meyer, Jean. The Cristero Rebellion: The Mexican People between Church and State, 1926–1929. Cambridge, 1976. Purnell, Jenny. Popular Movements and State Formation in Revolutionary Mexico: The Agraristas and Cristeros of Michoacán. Durham: Duke University Press, 1999. Quirk, Robert E. The Mexican Revolution and the Catholic Church, 1910-1929, Greenwood Press, 1986. Luis Gonzalez – Translated by John Upton. San Jose de Gracia: Mexican Village in Transition ISBN 978-0-292-77571-8 (historical novel), Austin, Texas: University of Texas Press, 1982. Greene, Graham. The Power and the Glory (novel). New York: Viking Press, 1940 (as The Labyrinthine Ways). Wikimedia Commons has media related to Cristeros War. Ferreira, Cornelia R. Blessed José Luis Sánchez del Rio: Cristero Boy Martyr, biography (2006 Canisius Books).